You have probably seen materials outlining my experience, qualifications, education, and accomplishments. I have provided this information repeatedly, not because I like to hear them, but because I think they are the best indicators of performance as Sheriff in the future. Success in the past is a predictor of successes in the future. Candidates who are qualified talk about their qualifications. Candidates who are not qualified criticize their opponent as a bragger or boaster. Candidates who have exceptional law enforcement achievements speak of them. Candidates who lack in achievements try to minimize the achievements of their opponents. Candidates, who don’t have experience, try to inflate their experience. My opponent does not have 17 years of full time law enforcement experience. The Wisconsin Retirement System would say closer to 8 years of experience for him. A year of experience is 2080 hours of work. If you are days away from casting your ballot and have not been informed of a candidate’s education, law enforcement management training, full time experience or achievements, you should ask yourself why. Why doesn’t my opponent tell you about these critical points in choosing a new Sheriff? Historically, Sheriff’s candidates in Washburn County have debated in a public forum. This platform has provided the voters with insight into the knowledge and ability of each candidate to think on their feet. You have seen these Sheriff debates taking place in our surrounding counties as the election grew closer. For the past two months, my opponent has been contacted by individuals, groups, or organizations with multiple requests, to participate in a debate. My opponent did not respond at all to two requesters, and declined to a third. For the record, I agreed to debate to each and every request. 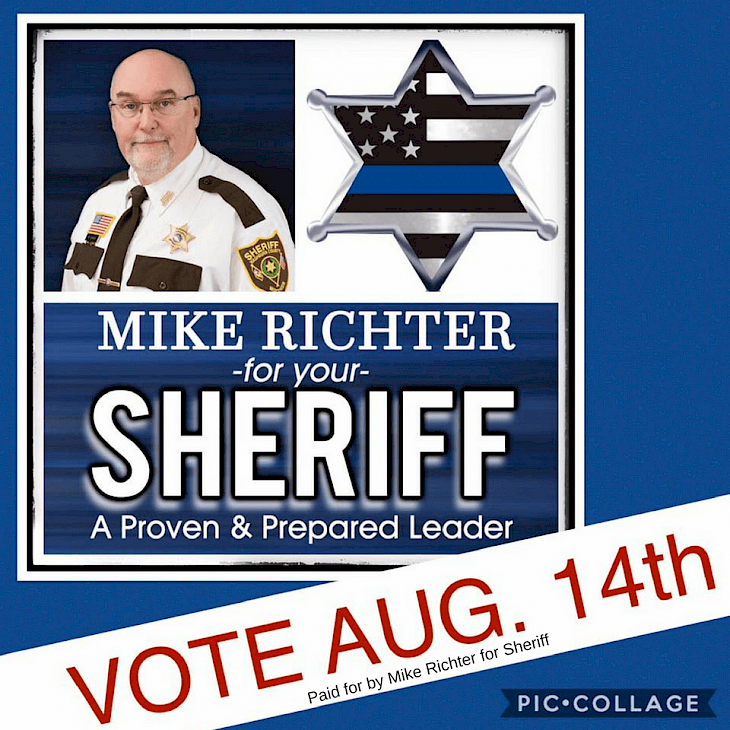 As a voter, you should be asking why a Sheriff Candidate would not want to enter a public forum and explain to you why they are the best suited candidate for the job. Not on paper, but face to face. On August 14th please vote! This primary election will decide who the next Washburn County Sheriff will be. Look at the material and information you have been provided about the candidates. I think you will conclude that I am the most Proven & Prepared! Thank you for all of your past and future support! I will be honored to get your vote on Aug, 14th!